If you are thinking of putting a carpet in your bathroom, probably as a decoration or as an absorber of moisture, think again. You probably want a carpet to have something warm and absorbent for your feet. You also probably think that carpets make the bathroom slip-proof especially for kids. However, the bathroom is a very humid environment and putting a carpet in there, for whatever reason, is not a good idea. Here are the reasons why you should not put a carpet in your bathroom. Carpet in the bathroom is hard to maintain. Having a carpet in our bathroom may be a pretty idea. However, making sure that it stays dry, washing it and changing it often are inconvenient. The one thing that is always present in the bathroom is water. It splashes, spills and makes the bathroom humid. The best flooring for the bathroom are ceramic tiles, cork, wood laminate or vinyl. Carpet in the bathroom is not sanitary. Imagine your bathroom surrounding the base of the toilet. Gross, isn’t it? Carpet absorbs all the spillages from the sink, which include soap, water and toothpaste. All the filth and dirt that are absorbed by the carpet, especially with shaggy carpets. And when you get your carpet dirty, it is close to impossible clean it. Carpets make your bathroom stink. The urine smells and the stuck moisture in your carpet is a bad combination. The odor stays in the bathroom and is really hard to get rid of. It makes matters worse when you have pets that sneak into your bathroom and walk on your carpet. Carpets will destroy your flooring. 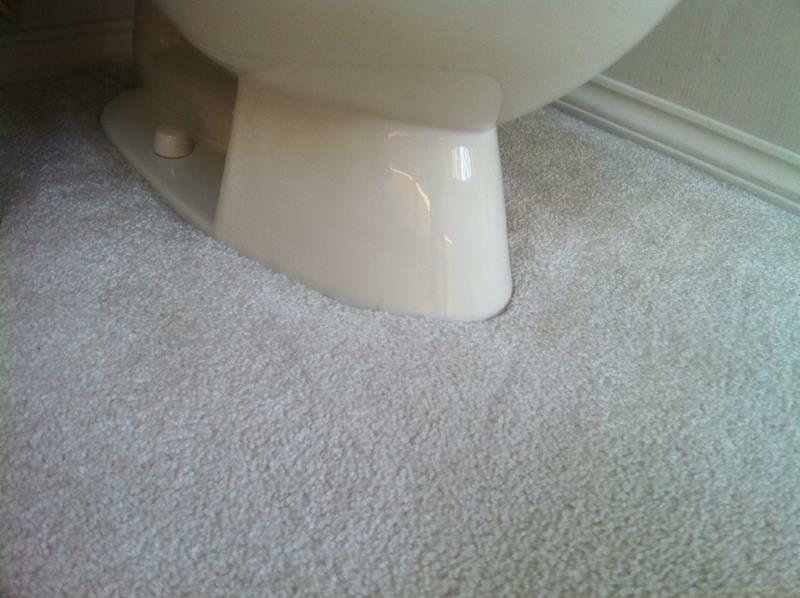 Since your carpet remains moist and damp all the time, with all the urine and water that seeps into the carpet, it will eventually destroy your bathroom flooring. Renovating your bathroom is an expensive and excruciating home project. Carpets are perfect for your living room. They instantly provide a homey warmth and feel to any room. It is also a great sound absorber for loud speakers and in between floors. However, putting a carpet in your bathroom is not a smart idea. Stick to the old reliable bathroom tiles which are easier to clean and maintain.